Looking to place an order for plastic tie on cable labels? 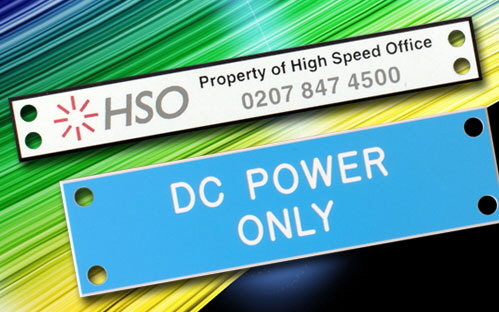 Engraved plastic (traffolyte) type tie-on cable labels are ideal for heavy duty applications or large cable bundles. A more durable solution suitable for cable ducts or even being submerged. 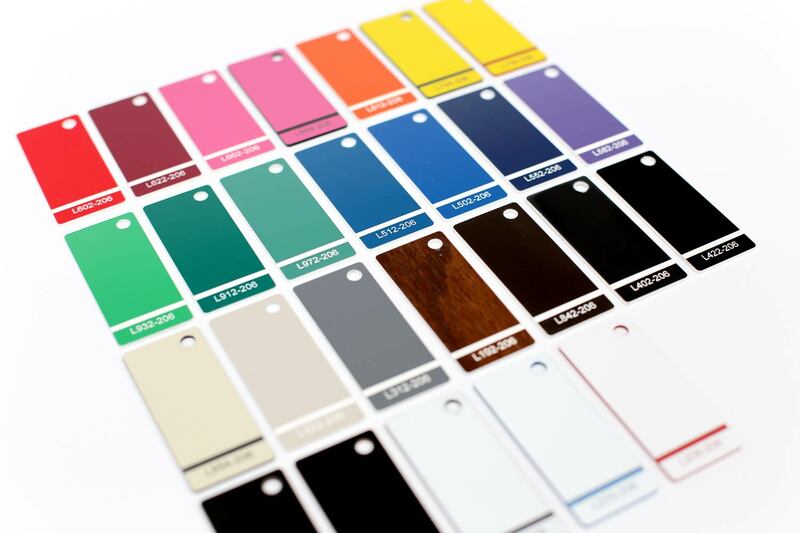 These labels can be supplied engraved, printed or blank for hand-writing with a permanent marker pen. 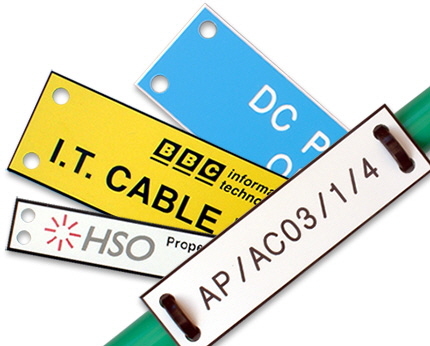 Tie-on Cable labels can be made to any size and are available in multiple colours. Pricing is based on quantity and complexity, so please email us your details for a quote. 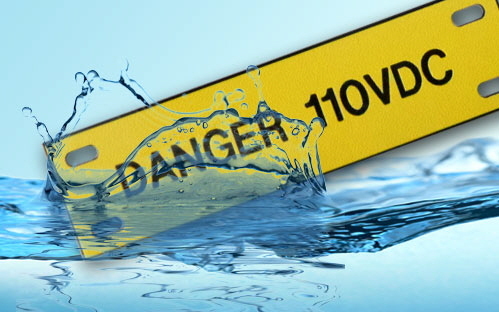 Tie-On Cable Labels are suitable for very large cables, bundles and ducts and can be fixed with tie-wraps or steel wire. The slots in the labels can be sized to suit larger tie-wraps, or we can supply a stainless steel wire fixing solution. Suitable for the harshest environments with high abrasion resistance, UV stable if required, and suitable for wet or submerged environments. Please note that engraving the labels gives the best life-span and durability. Made using durable plastic available in a range of colours and thicknesses. 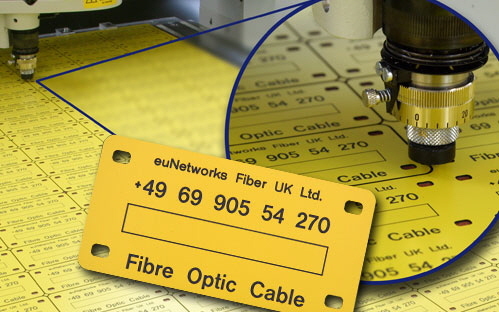 Often called traffolyte labels, they can be cut to any size or shape to suit your requirements. Choose engraved for ultimate durability or when variable data is required. Printed labels are more economical for larger runs of the same text. 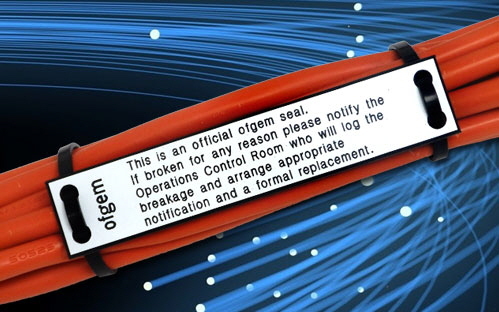 A permanent marker can can also be used to simply write on the labels during installation. Choose your required label colours from the chart and quote the colour reference numbers in your enquiry.